Cyber-Hobby Orange Box is not back with only one item, but a wave of new items! The second falls to a 1/35 Soviet SU-85M Tank Destroyer. 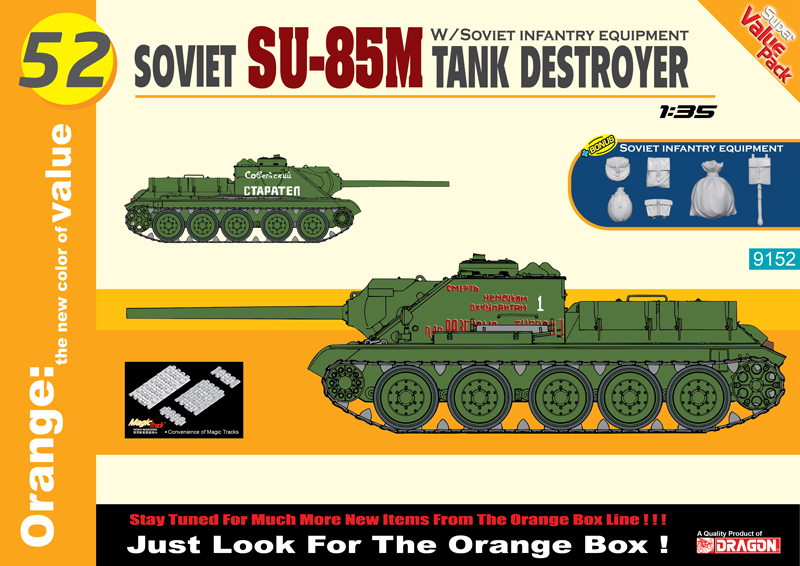 It is not only upgraded with Magic Tracks but also consists of a fine 1/35 scale assortment of Soviet Infantry Equipment!